Looking for a vacation spot? Take one creepy, supposedly haunted five story building built in 1926, add in a morgue, a “body chute” and rooms where people once lay dying of tuberculosis, spiff up 78 or so of the rooms as “guest rooms” and what do you have? Why a destination hotel of course. 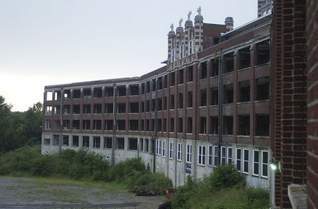 Or at least that’s the plan of the current owners of the Waverly Hills Sanitarium where thousands of people died before streptomycin was discovered in 1943—some estimates are as high as 64,000. Ready to sign up for a reservation? August 7, 2008 Posted by oldstersview | ghost, Scary	| hauntings, Waverly Hills | Comments Off on Looking for a vacation spot? Is your printer/scanner running slowly? August 7, 2008 Posted by oldstersview | Uncategorized	| Comments Off on Is your printer/scanner running slowly?